Home >Speed Up >How to speed up WordPress website from the non-technical perspective? We will show you how to speed up WordPress website from the user perspective, using some of the simple, yet efficient techniques and tools, so-called “quick-wins”. The stuff that speeds up (or slows down) a web site is truly a random pile of tweaks, tips and changes. It’s a ton of little things that add up to enormous impact for visitors and search engines alike. You will see which free web tool to use to identify the biggest speed problems on your site, and how to remove them. We will briefly introduce you to Swift Performance Premium plugin (speed up “Swiss Army knife”) which you can use to perform most of your site improvements in the shortest time possible. Why page speed really matters? 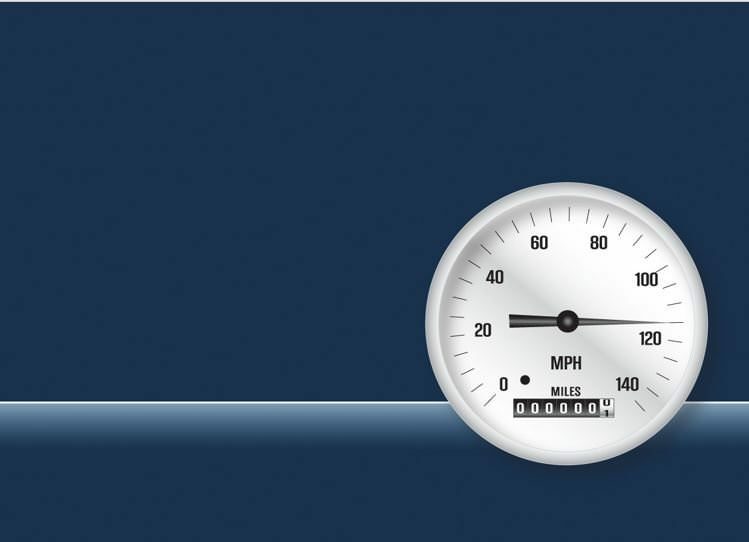 Page speed is a measurement of how the content of a site’s page loads. A faster site (which means faster-loading pages) provides a better user experience. Lower page load times mean that less visitors are visiting more than one page. Sites with average page load times of 2 seconds get 8.9 page views on average, while those with 7 second page load times get just 3.7 page views on average. Content sharing and likes improve—if your visitors actually see your site’s content. Pages that load slower than 2-3 seconds make visitors impatient. The better the user experience, the more you sell. Page speed impacts the very core of the user experience and conversions. If it takes too long for your website to load when someone clicks on your ad, they’re more likely to give up and leave your website. Poor website speed experience really can impact your customers’ perception of and loyalty to your brand. The client, which is usually the web browser, asks the server for content. When the server delivers its response, the browser has to ‘draw’ it all. If a web page is poorly coded or structured, the browser has a hard time doing that rendering and slows down. The server gets the request from the “client”/web browser and delivers a reply. It has to build all of the pages on the site, process various forms, manage leads and do all the other “dirty” work. If the server is slow, than everything’s slow. If you speed server up, everything runs faster. However, tweaking server performance requires certain expertise. The “pipe” (or bandwidth) delivers the output that server creates. Once the web server replies to a browser request, the response goes through the “pipe”. The more you put into the pipe, the slower it goes. How fast is fast enough for your pages? acceptable site’s speed for Desktop is between 2-3 sec and preferable speed is about 1 sec (nearly half of web users nowadays expect a site to load in 2 seconds or less). acceptable site’s speed for Mobile is between 4-5 sec. 75% mobile users will abandon if takes more than 5 seconds to load. second delay in page response can result in a 7% reduction in conversions. How do you measure the page speed? Page speed optimization can be difficult, but there are free online tools that make our lives easier – they “advise” us what to do, in order to improve the speed of site’s page. Quick page speed test. Super simple. Great for impressing (or depressing) clients. You get the basic summary data. With Pingdom, you have an option to test the page speed on 4 different locations. Results are all different for each location, which shows that server geo location is important. Optimization details are listed/ordered by importance and rated on a scale from 0-100. If you follow the tasks and optimize the ones that don’t have a 100% score, you’ll be able to speed up WordPress site relatively quickly. It keeps track of the history of the tests. Another quality page speed tester, with a lot more features than the previous tools, for more advanced users. It has more locations to choose from, an internet speed can be selected, you can enable/disable a few browser options and you can test specific devices. It does ‘film strips’ showing page render, and lets you ‘race’ with other sites. Every WebPageTest run is actually 3 runs and displays a detailed waterfall report for each run. It provides first and repeat load monitoring so you can see how well your browser caching is performing. It gives the all-important measurements of when the page starts to become useful to the visitor. Measures page load time and displays it in the Chrome browser toolbar. it doesn’t accurately measure your site’s speed when it comes to how your visitors perceive it around the globe. it doesn’t provide any speed result, instead it throws you a list of things you should improve. On top of that throws you a score without giving sources of results. its score isn’t based on the actual speeds of the site but on the “things Google believes you should be optimizing”. If your visitors get a fast site that’s easy to use, then you did your part of the story. How can you improve the page speed? Price – choosing the cheapest hosting usually isn’t a good idea. You know how the saying goes: “you get what you pay for”. If you want your site to grow and (probably) generate income, you must invest in server power to guarantee fast loading pages and 100% uptime. Limitations/tech specs – when you’re running an e-commerce site or a site rich in content and multimedia, you must sign up for a hosting plan with enough RAM, disk space and processing power to meet your business needs. Support – hosting with 24/7 support is your target. If your site unexpectedly goes down – you want to be able to talk to someone to sort out the issue, day or night. Reviews – check what real people say about specific hosting. Testimonials help you figure out if a hosting service is really as reliable as the company advertises. When you want to check some provider, go to ReviewSignal – read how real users perceive their service. We recommend SiteGround shared hosting: their servers with SSD disks are very fast, highly secured, with advanced integrated services (backup, advanced caching, staging, CloudFlare CDN, etc. ), especially in the GoGeek shared hosting package we currently use. As much as we would like to think that all themes are created equal, the real truth is they are not. Many themes have bloated code with more functionalities than you’ll ever use. Many WordPress themes are overkill. Your goal should be to choose a lean and lightweight theme that provides the design required for your website and basic functionalities needed. Before installing a new theme on your WordPress website, test the theme’s demo using one of the above-mentioned on-line speed tools. The results will provide insight into how well-coded the theme is. Themes we recommend and use: X Theme and X Theme Pro. Evaluate potential plugins before you install them on your website. With WP Speedster free tool you can analyze the effects of hundreds of plugins on site performance and can help you decide which ones are a no-go. Test your website. Before installing a new plugin, test your website by using an on-line speed analysis tool. After plugin’s installation test the website again. If you notice website slowed down, find an alternative – more lightweight plugin. Carefully choose your plugins. Every time a plugin is added to your website more server requests are required to allow them to function properly on the front end of your website. Try to use one plugin that performs multiple functions (such as Swift Performance plugin) rather than using several separate plugins. Also, make sure you do not use plugins that are outdated, as they present security risks and can cause slowdown problems on your website. Use a plugin Query Monitor: it is a debugging plugin for people with more advanced knowledge/experience. Does plugin perform complex operations? Does plugin load many scripts? Does plugin increase the number of database queries for all page requests? Does plugin perform requests to external providers? If the majority of answers to above questions is YES, you should really avoid such plugins and find alternative/lightweight plugins. Simple things like images compression can have a huge impact on site performance because they are eating up bandwidth so that the server can’t upload and the client can’t download quickly enough. These are among the easiest speed up optimization “quick wins”. When you create or delete posts, delete comments, change WordPress options, install/uninstall plugins or themes, your database could get bloated with “leftovers” that need to be cleaned regularly. Cleaning the database on a regular basis rids you of drafts, spam comments, leftover tables, and so on. It’s also recommended you delete unused images, themes, or plugins and fix broken links. Otherwise, your site can seem sluggish. An alternative is WP-Optimize: an effective tool for automatically automatically cleans your WordPress database so that it runs at maximum efficiency. Plugins Garbage Collector: scans your WordPress database and shows the tables beyond of core WordPress installation. Keeping WordPress, themes, and plugins up to date gives you access to the latest features and also lets you take advantage of possible speed improvements. You must keep your WordPress site, theme and plugins updated to the latest versions if you don’t want your site to became slow, unreliable and vulnerable to security threats. Caching your site temporarily stores copies of web content to satisfy user requests from the cache database. Caching is really effective to speed up your WordPress site. Swift Performance (relatively new plugin for website optimization). WP Rocket (the most popular Premium caching plugin). quick-win optimization is to upgrade the PHP version to 7.x (which every decent hosting should offer nowadays). PHP 7.x version is, in comparison to older PHP versions, a great speed and performance improvement. It’s rather easy to switch to it, so we recommend you to take advantage of it. Regularly test your website pages using speed test tools to monitor your site’s speed at different times. We recommend: Pingdom & Page load time. Invest in a quality hosting provider that can handle your website’s traffic. Pick an optimized theme with only the functions you need. We recommend: X Theme & X Theme Pro. Carefully choose plugins you use to reduce server strain. Clear out your database of unnecessary data dragging your site down. Resize, crop, and compress images that you upload to your website. We recommend: Imagify Image Optimizer. Update your plugins, theme and WordPress. Always cache & speed up optimize your website. websites are created for people, your potential clients. you must have a good balance between content, design, user experience and page speed. don’t be obsessed about page speed (and especially with page speed scores!). … and yes, speed matters, a lot! More useful info/curated posts on Speed Up topic you can find in our Speed Up Knowledge base. WordPress Speed Up group on Facebook. Thanks for the information. There are a lot of helpful tips which I’m going to try out. I am glad you found it useful and in case of any questions – you can ask us here or even better in our specialized Speed Up group: https://www.facebook.com/groups/wordpressspeedup/. great guide, i use siteground and wprocket plugin, but still my TTFB is more than 1sec. I even tried swift performance plugin but no change.. how to fix it? Great article! My website it hosted with Siteground but it’s on my previous web developer’s hosting account which is part of a larger Siteground account. Does this sound okay or are not all of Siteground’s plans shared hosting? Thx! You are right that not all of Siteground’s plans are shared hosting. Do you recommend me checking if it is shared? If it isn’t do I need to change it to help increase speed? If your current hosting plan satisfies your business needs – you are ok.
Also my theme is ‘x child theme’. Is that different from the theme you suggested and is it okay speed wise? Thanks in advance! We use X Theme and sometimes its Child theme and for us it is enough well speed optimized.